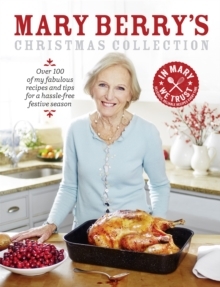 Let Mary solve all your Christmas troubles with this fabulous collection of her favourite Christmas recipes. Mary Berry's Christmas Collection combines time-honoured festive favourites with a variety of new and exciting dishes to spice up the season. By taking the traditional Christmas fare and giving it a twist, Mary adds sparkle to every celebration. Simple yet reliable recipes and Mary's handy hints will take the pressure off entertaining, whether it's for the big day itself, a Boxing Day crowd or an intimate New Year family gathering. With an invaluable Christmas Day countdown, sample menus, shopping lists and ever-popular tips on preparing ahead and freezing, this is the must-have companion to the festive season.